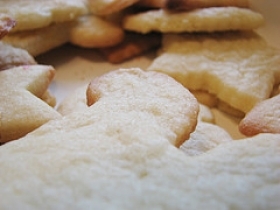 Have you made Big White Soft Sugar Cookies? 1. In a measuring cup, mix the buttermilk and baking soda; set aside. 2. In a large mixer bowl, combine the oil, sugar, and eggs; mix well. 3. Add the buttermilk-soda mixture and blend. Then add the salt, nutmeg, vanilla, and baking powder and mix again. 4. Blend in the flour (the batter will be very runny). 5. Cover and refrigerate overnight. The next day, preheat oven to 400 F For the very best results, use ungreased non-stick baking sheets. 6. Dark or shiny sheets conduct the heat differently, and the cookie will have crisp brown edges, which are just what you don't want. 7. 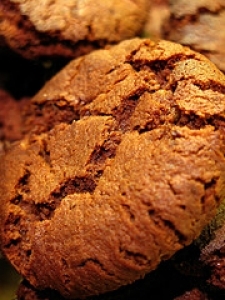 Use 1 heaping tablespoon of batter per cookie, and place them on the sheets. 8. Liberally sprinkle more sugar on top of each cookie and dot with 3 raisins. 9. 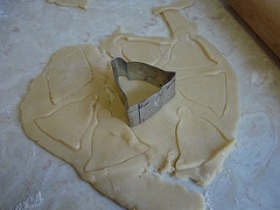 Keep batter refrigerated between bakings. Bake for just 5 minutes. 10. The cookies should be just barely done--still almost white. 11. If they are golden, you have left them in too long. 12. Remove from oven, and allow the cookies to remain on the cookie sheet for 3 more minutes to continue baking. 13. 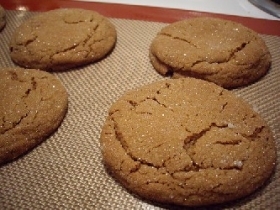 Carefully remove cookies with a metal spatula to a wax paper-covered rack to cool. 14. 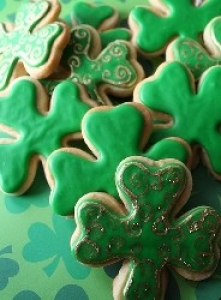 The cookies keep well in tightly covered containers or can be frozen. 15. 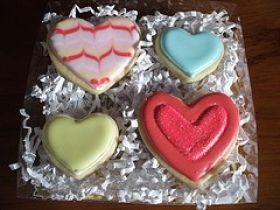 In either case, each cookie should be wrapped individually or between layers of wax paper. 16. They are so tender, so moist, so cakelike that they cling together if this is not done.